NutraBio Rated #1 Supplement Brand for 3 Consecutive Years!! NutraBio finishes 2017 as the #1 ranked supplement brand on SupplementReviews.com; a position NutraBio has held for 36 consecutive months. 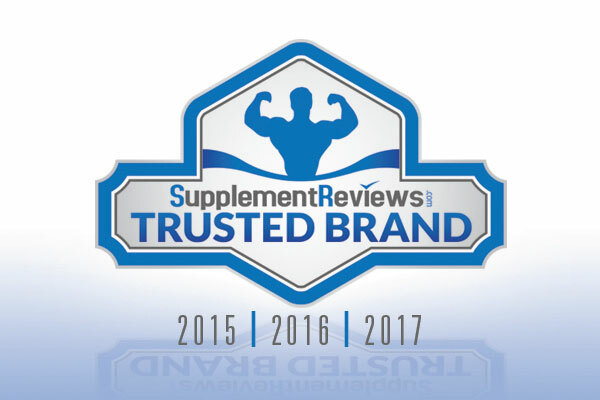 SupplementReviews.com is regarded as the industry’s most trusted review site. By vetting each member and review, they ensure that ratings for each product are 100% authentic and accurate. Individuals have tried to cheat the system, and SupplementReviews.com has stayed true to their beliefs in honest, legitimate ratings for the industry’s top companies. SupplementReviews updates their standings daily based on reviews by its experts and members. NutraBio is proud of the fact that we have remained as the #1 ranked brand overall, every day for the past three years. Thank you to everyone who has supported us throughout the years. Your belief in Nutrabio drives us to improve constantly. For 22 years, NutraBio has been committed to manufacturing supplements without comprise. Our approach to transparent and fully disclosed labels, no fillers or excipients and full efficacious dosages has set the quality standard for the entire industry. In 2017, NutraBio raised the bar in the supplement industry once again with our launch of CheckMySupps.com. This website enables customers to view independent lab results of our supplements by individual lot number. I’ve been taking a variety of supplements over the past 25 years. I just started using your products three months ago and I must admit that your products deliver exactly what they say they will. I was floored at how much more energy I have for my lengthy cardiac workouts. Your Thermo Fuel is awesome. I’m going to order some dimethylglycine and Fighter Fuel around Valentine’s Day. My one question is this: can I take conjugated linoleic acid long term, i.e., for years? Or would there be adverse side effects that would preclude me from staying on it for 2-3 years? Thanks again for manufacturing what seems to be a genuinely high-quality line of supplements. Everyone around me seems to be I’ll in my apartment building, but I have been taking your Resveratrol and have avoided getting sick so far this Fall and Winter. Keep up the truly inspiring work. Thank you, Stephen. That is great to hear, I really appreciate you taking the time to let me know. CLA is basically just a fatty acid that comes from safflower seeds. Although there is no research on taking CLA long-term, it is considered to be safe.